Publicity and Facebook feeds on photos. However, if you see a photo of yourself, and are not comfortable with it, email me, and I can remove it immediately. We have weekly classes, club dances every month or so and an annual fly-in. Some of us travel to the annual IAGSDC convention for a weekend dance with 600-800 other enthusiasts. These photos show us having fun at these events. (Click each image to view more photos from that event.) 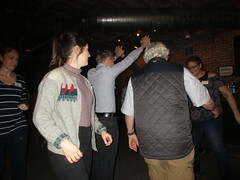 Club member Byron is an excellent photographer, and has shared his photos from many dance events. More photos can be found on our Facebook group, and in our Flickr pool. 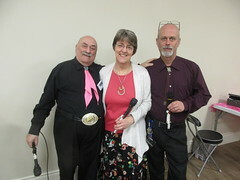 International Association of Gay Square Dance Clubs (IAGSDC) News and events from LGBTQ clubs across North America. 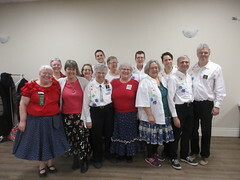 Toronto Contra Dancers Contra Dance is a close cousin of Square Dance, usually done to live music. No lessons required.